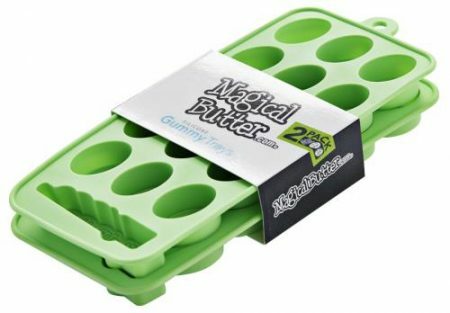 MagicalButter’s 21UP Gummy Tray clearly identifies medicated foods as “for adults only”. Our flexible, nonstick silicone provides a premium mold surface for baked goods, gummies and other candies. 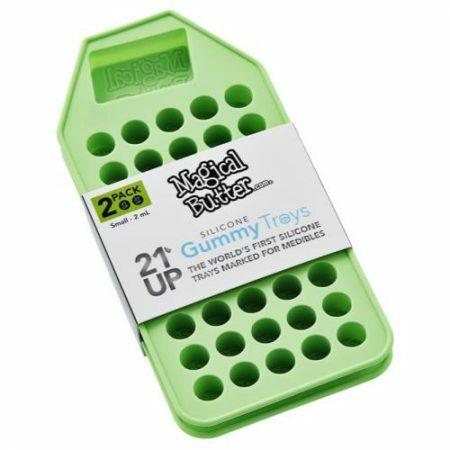 The 2 ml size tray is perfect for experimenting with smaller doses of medicated items. They make it safe and easy to gauge intake and to follow the sage wisdom of the ages: Start Low, and Go Slow. 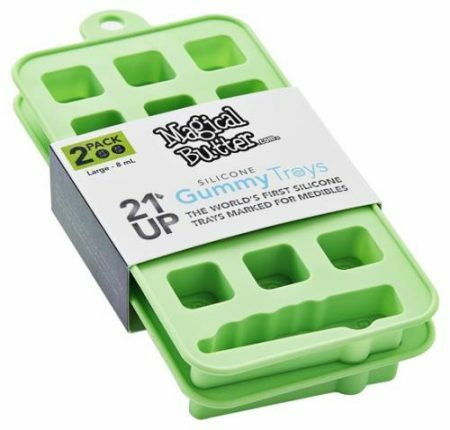 The 8 ml size tray makes 12 square shapes gummies with the 21UP logo plus one large MagicalButter logo-shaped gummy. 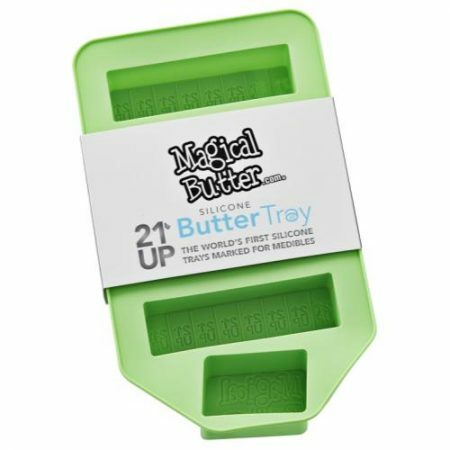 MagicalButter’s 21UP Butter Trays identify medicated butter as “for adults only”. Full sticks are divided into eight tablespoons, each clearly marked with the distinctive 21UP logo. 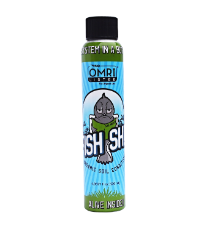 Flexible, high-quality silicone provides a premium surface for infused butters and oils. 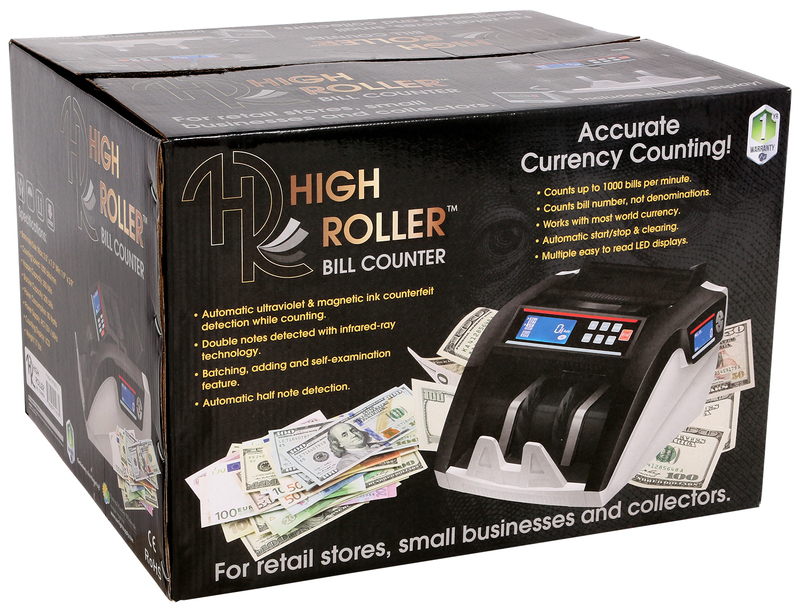 Makes a total of four full-size sticks plus one fun-size stick. Heat-resistant and dishwasher-safe. Introducing the MagicalButter 4 Pack! Bringing precision, options and extras to your extractions. This 4 Pack Kit includes 3 different filter bags, ranging in micron filtration, and the silicone LoveGlove. Our flexible, non stick silicone mat provides a premium surface for baked goods like cookies, breads and pastries. It replaces parchment paper and greasy baking sprays. 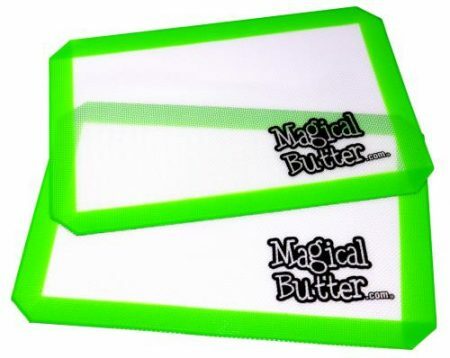 The MagicalButter Baking Mat dissipates heat rapidly to prevent burning and is perfect for preparing concentrates, candies and hot foods. Won’t absorb stains or odors and dishwasher safe. 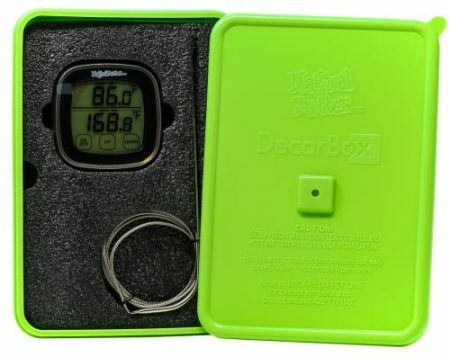 The DecarBox features an integrated digital probe thermometer. This device lets you easily calibrate your oven for precise accuracy during decarboxylation and baking. The stay-cool external digital display lets you monitor the temperature inside your DecarBox without opening the oven, saving money and keeping temperatures from fluctuating. Each MagicalButter Eat to Treat Gummy Tray makes 12 oval MagicalButter gummies plus one large MagicalButter logo-shaped gummy. Perfect for baked goods, gummies and other candies. 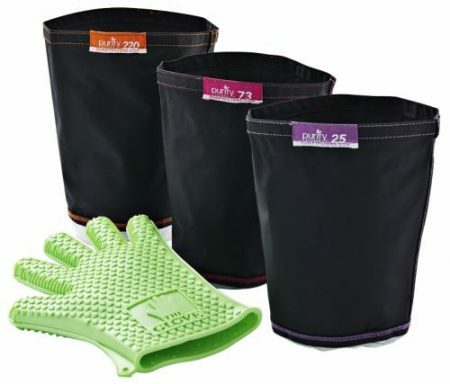 Easy to clean, dishwasher-safe, durable silicone. This pack includes three essential tools for your kitchen: a full-size spatula, a mini spatula, plus a spoonula! 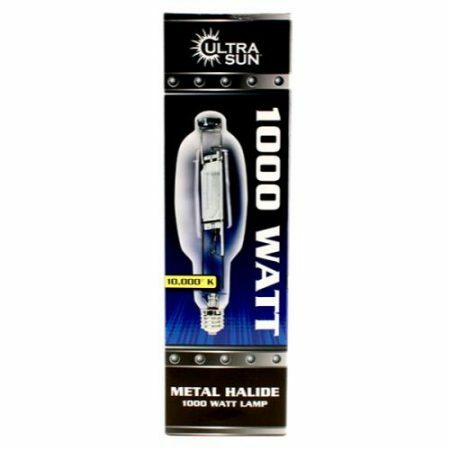 Highest-quality silicone construction means maximal heat resistance, ease of cleaning and a sleek, modern look. 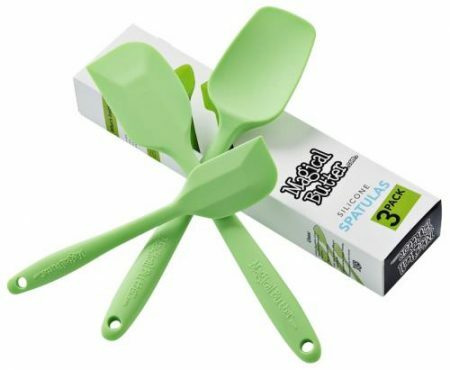 The versatile MagicalButter Spatulas 3-Pack is perfect for all your mixing, scraping, flipping, and serving needs! Crafted from 100% pure silicone, these spatulas combine ergonomic design with flexibility and strength for maximum performance and durability. 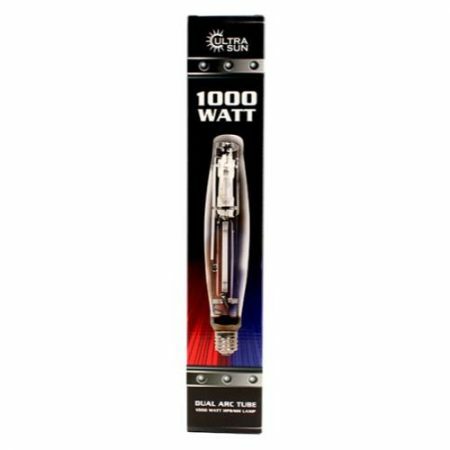 Comfort handles provide a firm, non-slip grip. 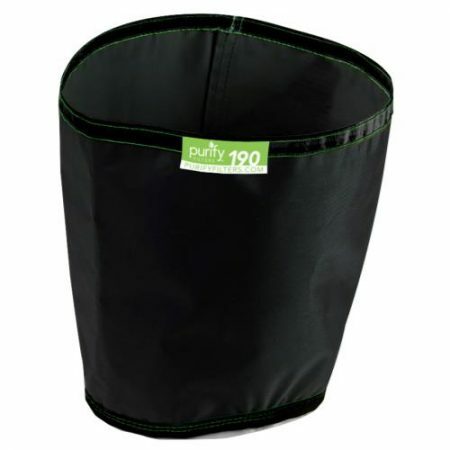 The LoveGlove has several important features that give the user safe handling of the Purify Filters. Made of silicone, it’s durable and heat resistant when handling liquids made in the MB2. 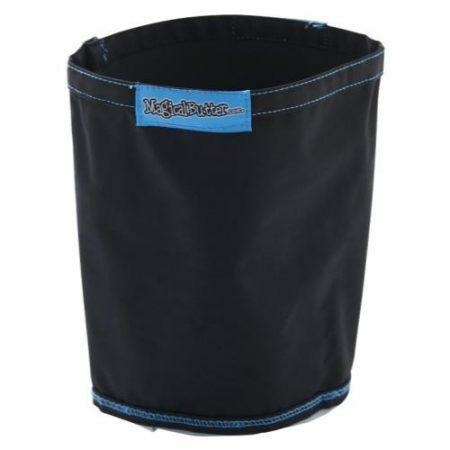 It also features the non-slip LoveGrip and is easy to clean. Factor in a one-size-fits-all design. 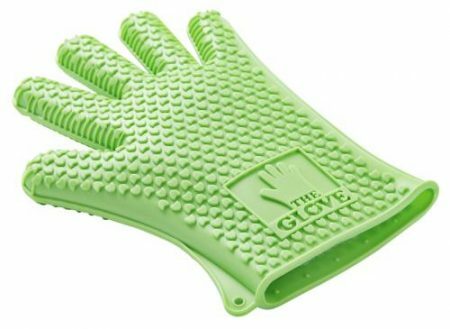 Extremely durable, heat-resistant, 100% pure silicone for cushioned comfort five-finger glove design and raised LoveGrip nubs ensure non-slip grip no mitt can match. Won’t absorb stains or odors and dishwasher safe.